Eduardo R. Lafforgue brings 32 years of destination and sustainable tourism development experience. Originating from Montreal with his most recent employ in Madrid Spain. Mr. Lafforgue is eager to contribute economic and strategic territorial planning to boost tourism and economic development in the Headwaters Region. Eduardo had directed over 80 tourism development projects in 25 countries in Europe, North and South America, Northern Africa, the Middle East and India with many high-profile clients including Antigua & Barbuda, St Lucia, Bermuda and numerous rural tourism development agencies in Europe as well as multilateral organization such as IDB (InterAmerican Development Bank) and IFC (International Financial Corporation). Mr. Lafforgue has acted as VP Acquisitions for Intrawest Europe and Associate Director for Indra Business Consulting working extensively in hotel development advising owners, investors and hotel operators to successfully optimize their developments. As Executive Director Headwaters Tourism, Mr. Lafforgue will implement Board strategies, policies and decisions. He will work with the team to devise and implement strategies to ensure long-term viability and sustainability. Eduardo is keen to take on the responsibility towards sustainable and inclusive tourism development to ensure a healthy tourism ecosystem designed to bring pleasure, richness and joy to the community for many years to come. Maria Burton, born and raised a Mono resident, now 20-year CEO and veteran in marketing, tourism, media and sponsorship. As an executive, Ms. Burton brings abundant and diverse economic development, tourism and sports marketing development experience from transnational destinations; California, Colorado, Utah, New Zealand, Australia, Fiji and British Columbia. Intrinsic to these initiatives were the related relationships, sponsor and partnership development; Destination BC, Vancouver Olympics in 2010, Red Bull, Subaru, Mitsubishi, Vail Resorts, CBS, Outside Television. 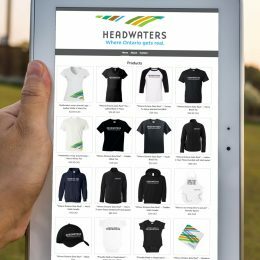 Ms. Burton, as Director of Marketing will oversee marketing, product and partner program development strategies, brand and new marketing initiatives, media, social, digital strategies and public relations for Headwaters Tourism. Returning to her roots here in Headwaters with a family of her own, Ms. Burton is thrilled to bring this worldwide diversity of skills and experience and apply it towards benefiting the community and region that is home to her heart. Together the new Headwaters Tourism executive leadership team of Eduardo and Maria will be working in concert and are concurrently starting this 3rd week of November, 2018. 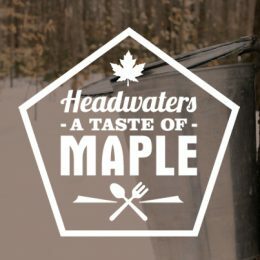 Headwaters Tourism is a not-for-profit, multi award-winning destination marketing organization representing the rural Headwaters region of Ontario and providing tourism services on behalf of the regional tourism industry and on behalf of the municipal partners in Dufferin County and the Towns of Caledon, Mono, Shelburne & Erin. 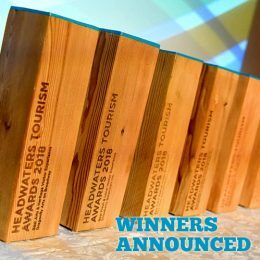 Through innovation and a focused vision, Headwaters Tourism has become a Provincial and National leader in tourism destination marketing and management and is raising the bar for rural tourism development.